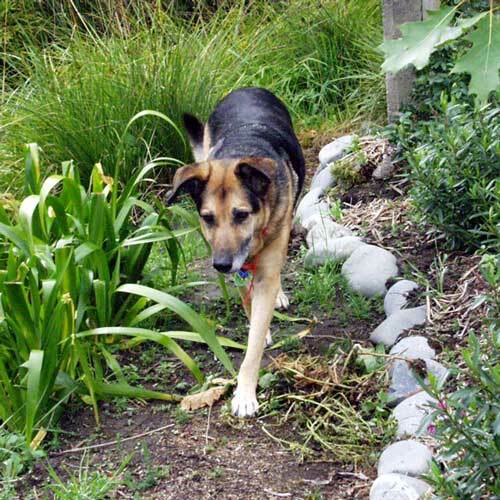 Here is Taj-dog, my original landscape architect and garden designer dog. He's on a dog-path in the Hen House Gardens. This path was originally designed by him - it's dog-sized, efficient and close to the water. 'Designed by Taj-dog' is a misnomer. If there were plantings here the caption would have read 'Destroyed by Taj-dog'. He simply destroyed so many plants following his nose through here that a path seemed sensible. And so the first official Dog-Path was created.